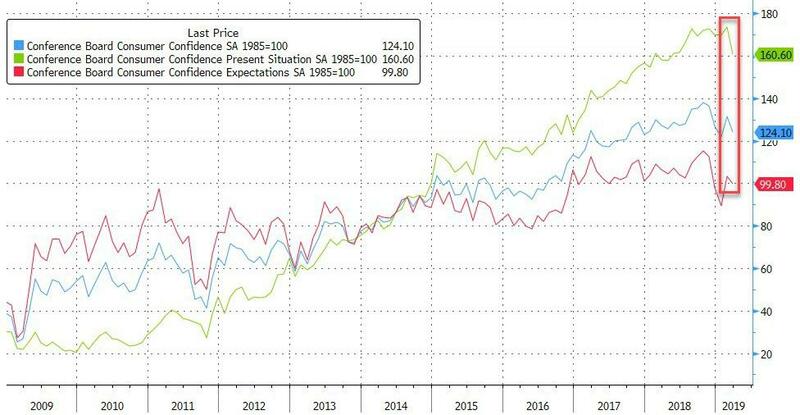 After a hope-filled rebound in February, Conference Board Consumer Confidence tumbled in March with Present Situation plunging to 11-month lows. 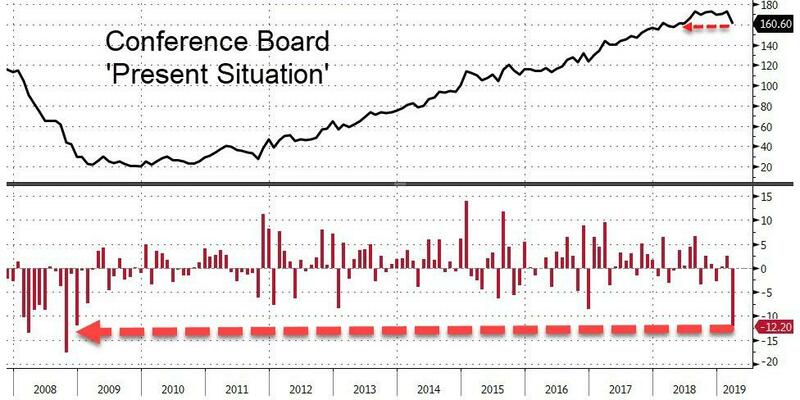 And this has happened as stocks pushed back to near record highs. 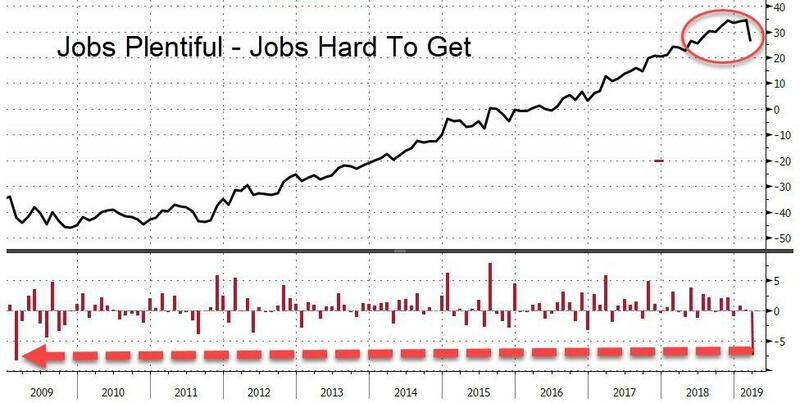 Most notable is the plunge in the Labor Differential - (Jobs Plentiful - Jabs Hard to Get) which tumbled from 34.3 to 28.3 - the biggest drop since Feb 2009.